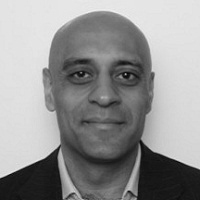 Rupesh is a technology VC at the EBRD and has been working with fast-growing European technology companies since 1999. Prior to joining the EBRD, Rupesh was an advisor to and investor in numerous technology companies – working closely with entrepreneurs and management teams on strategy, business development, recruiting and fundraising. Prior to that, Rupesh was an Investment Director at Add Partners, a €175 million European venture capital firm focused on technology investments. Prior to that, he was a Vice President at Broadview International, a technology-focused M&A advisory firm. Rupesh has also worked as a software engineer at Cadence and as a hardware engineer at Data General. Rupesh is an Austrian citizen and he earned an MBA from LBS and a Bachelor of Science in Electrical and Computer Engineering from Northeastern University.